Volker Bergmann (dipl. phys.) is freelancing IT Consultant for software architecture and design. His focus is the design, analysis and optimization of Java Enterprise Applications with particular design and performance requirements. The platforms of choice are Weblogic and JBoss and he is JBoss Certified Consultant . He promoted major projects (Deutsche Telekom, Postbank, Interhyp, Payback, O2) and now utilizes his expertise in software design and architecture for the development of methods and tools for the improvement of software quality and performance. 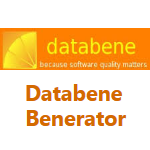 Currently he is working on databene benerator , an open source tool for the generation of load test data. Performing realistic load and performance tests. Benerator supports in performing realistic load and performance tests. It is a framework for generating realistic and valid high-volume test data for the system under test. Since data representation and constraints are platform independent, benerator can provide a rich set of plugin interfaces for custom extensions and mappings, allowing virtually any platform to be targeted with data generation. Benerator supports database systems, XML, XML Schema, CSV, Flat Files and Excel(TM) sheets. Domain packages provide reusable generators for creating domain-specific data as names and addresses internationalize in language and region (via nestable datasets).